Gone are the ai???salad-onlyai??i?? ordeals for vegetarian gourmands, as a handful of chefs are giving meat-centric menus a veg spin. vegetarian goodies during his sea voyage to England, still haunts me every time Iai??i? ?m offered a bread and salad platter on my trips abroad. Being a gourmand and a vegetarian may seem oxymoronic to many, but I find justification in masterpieces of meat mavericks from around the globe, as they explore greener pastures. Within the following conventionally meat-based cuisine styles, these chefs have opened-up avenues for one-of-their-kind vegetarian innovations, which are not only as delectable as their meats, but also retain the essence of their culinary culture. 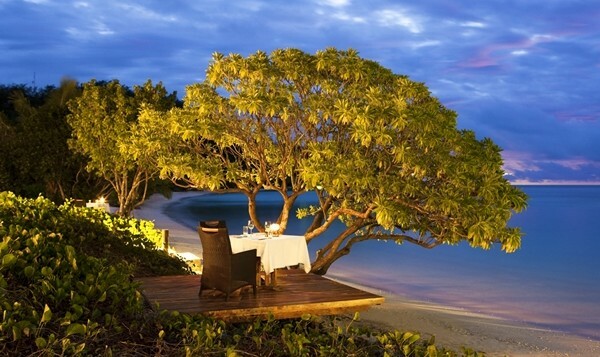 Romance and tranquility caress my senses with each lapping wave as my jet boat dashes towards the abode of serenity. The Likuliku Lagoon on Fijiai??i? ?s Malolo Island welcomed me with the embrace of the Pacific expanse that lay beyond. 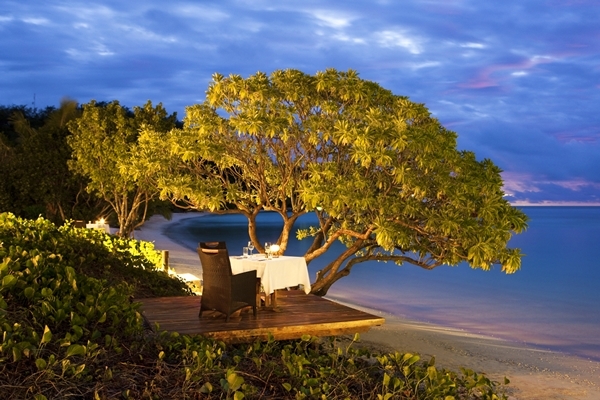 Known as a seafood haven, Fijian cuisine offers everything under the water, not to mention a meaty share of land creatures. But in the masterful hands of Executive Chef Ihaka Perry, my vegetarian South Pacific Fijian platter was a wholesome play of diverse flavours. Minimalistic, refreshing and organic, the butter-soft Goat Cheese Tortellini, with beetroot purAi? ?e and brown butter sautAi? ?ed green peas, enlivened the palate like a fine perfume, with a beetroot base, a splendid cheesy opening and green peas disappearing with the first bite. Pickled carrots and walnuts, heirloom tomato, carrot purAi? ?e, beet and artichoke leaves, a culinary canvas of colour and class, this was a Rubikai??i? ?s cube of flavours, each briefly playing their part until the finale. The soft, yet robust walnuts and tangy pickled carrots giving way to a sweet and sour mAi? ?lange punctuated by crisp roasted bread cubes, was pure manna from heaven. cuisine is relatively dry and grill-based. Executive Chef Ashish Bhasin of Mumbaiai??i? ?s Trident Bandra-Kurla has fine-tuned this art form at Maya, the hotelai??i? ?s Indian restaurant, opening avenues to improvisations of what would otherwise be uncompromisingly meat. ai?? ?The word kebab strictly refers to meat in Iran and Central Asian countries. In ancient times, tribal warriors would cook meat over a fire and bury it underground. When hungry during a battle, they would dig it out with their arrows and eat them directly. Hence the tradition of eating kebabs on skewers,ai??? explains Chef Bhasin. But a heartening array of veg alternatives leaves me enthralled. Dahi ke Kabaab, mouth-melting yogurt cakes with a crisp crust, and creamy core, leave a mixed taste on the palate, the yogurt mellowing the spice. The tantalising Vadi ki Shikampuri or Shaami Kabaab is usually lamb with spices. But Chef Bhasinai??i? ?s is of fried lentil dumplings (ai???vadiai??i??). His guilt-edged Subz Mawe ki Kakori is a treat with green chutney. ai?? ?The nawaabs invented Kakori Kabaabs as the British found the meats tough. Although, it was originally minced meat cooked on charcoal fire, we use an assortment of vegetables with cottage cheese and pomegranate instead,ai??? explains Chef Bhasin. An eclectic Gucchi Mattar ai??i?? Kashmiri morels with green peas in sumptuous symphony, simmered in a rich cashew nut and onion gravy, forms the soul-nourishing main course. The cuisine of Maghreb or the Western Arab World (Morocco, Algeria, Tunisia, Libya) breaks away from the Levantine hummus-falafel stereotype. In Tunisia, Africaai??i? ?s northern-most country, I needed to utter the Arabic pre-meal mantra, ai?? ?ana nabaatai??? (ai???Iai??i? ?m vegetarianai??? ), followed by ai?? ?moush samakai??? (ai?? ?no fishai??? ), to avoid tunas from popping out of my platter. Dar Belhadj, a classic Tunisian restaurant in the traditional market of the capital Tunisai??i?? Medina, breathes green in an intimidatingly all-meat cuisine. Commencing with a Slata Tounsiya salad, and crisp and filling Breek (eggs, peppers, potato, capers and parsley) filo pastry, accompanied by Harissa red chili pepper paste, a Kafteji platter of crisp, fried vegetables follows. 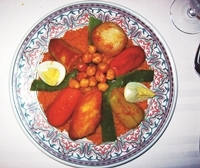 Couscous Tounisi, a rich signature delight, is a kaleidoscope of colourful ingredients such as steamed semolina and wheat flour forming a grainy base, soothing boiled potato, chickpeas, onions, carrots and turnips offering a homely, organic finish, often cooked in a mild or spicy broth and generally served with meat. A full-bodied vintage Magon red goes well to cut the coarseness of the semolina. As a student of the Persian language, the romance of Ferdowsiai??i? ?s poetry was often demystified by the thought of starving in his homeland. Meat being Iranai??i? ?s staple, there is but one hope: Mumbaiai??i? ?s 94 year-old, legendary Britannia & Co Persian restaurant, personally acknowledged by the Queen Elizabeth II. The wooden chairs exported by the owner from Poland at `5 a piece back in the 1920s add to the old-world charm of the place. 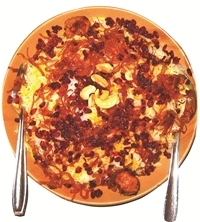 signature rice preparation with nuts, fried onions, and Persian barberries, is generally eaten dry, with say, just a meat leg. My mother included elements like the masala gravy, as Indians would never eat dry rice, and also vegetarian innovations,ai??? he explains. The exhilarating fragrance captivates you from afar, transporting you to the hinterland of Kohinoorai??i? ?s rugged hometown of Yazd. Cashewnuts punctuate the gravy-soaked crisp onions, tiny potato kebabs and vegetables, the sweet and sour tang of authentic barberries, enhancing the robustness of Iranian cooking. Succulent cottage cheese cubes buried in the basmati rice spring sumptuous surprises in Kohinoorai??i? ?s Polo ye Zereshk ba Paneer.